This week we have been consolidating our understanding of the grid method and have been multiplying 2-digit numbers by single-digit numbers. Some of us have also looked at multiplying 2-digit numbers by 2-digit numbers. This week we have been looking at working out multiplication questions using the grid method. 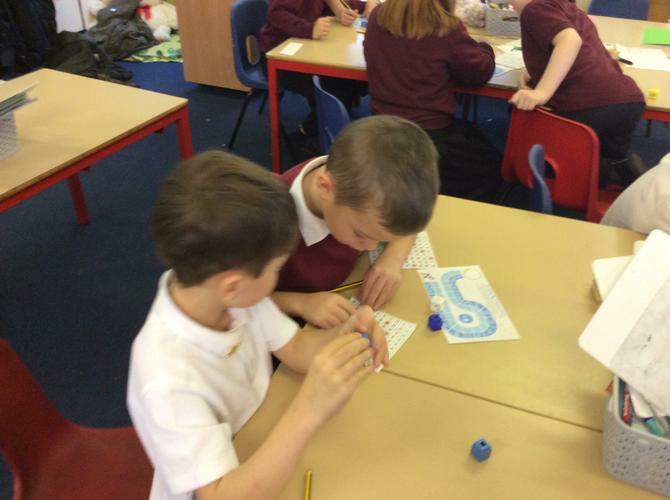 We have used our understanding of arrays to help us. This week we have looked at arrays to help us work out multiplication problems. We will be starting to look at putting these into the grid method next week. 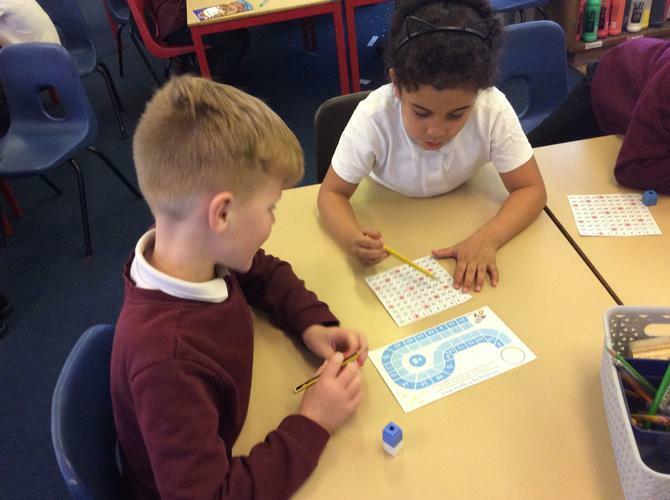 Over the past couple of weeks the children have been learning how to multiply and divide by 3, 4 and 8. We used arrays and the bar model to multiply and sharing and grouping to solve division problems. 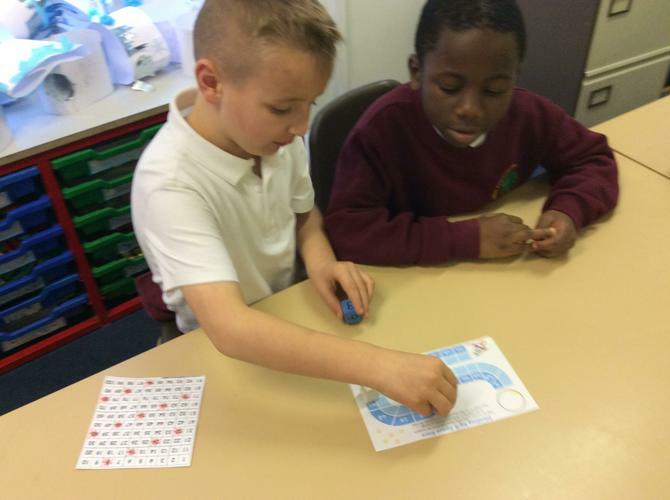 At the end of the week we played a division board game to consolidate our understanding of the 8 times table. 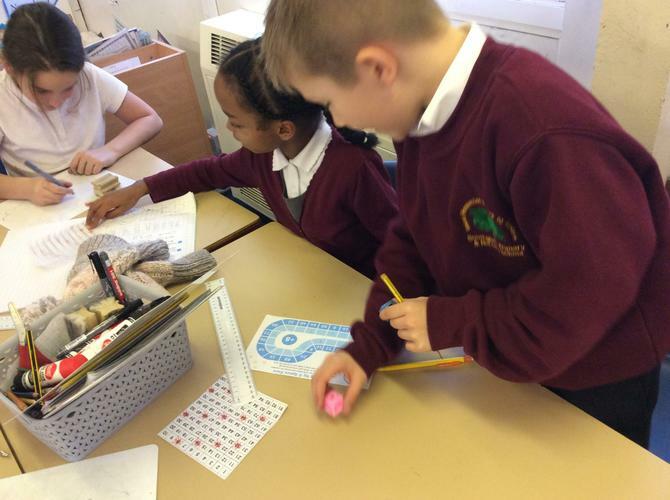 This week we have started our new topic; multiplication and division. We have started by looking at the 3 times table and how this helps us understand division. We are about to move onto the 4 times table! Can you recite the 3 times table to your family? 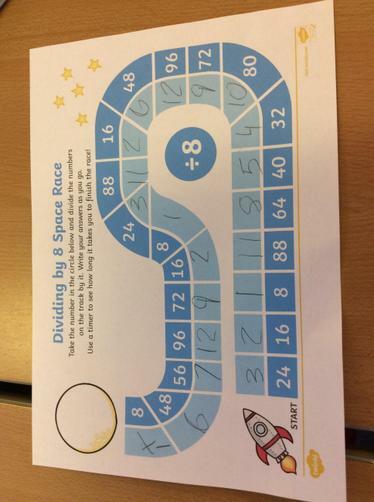 Can you write down the division facts to match?